One of the things that the curse did to the man was to rip him off the nature of God that he was to possess and he never found himself in the image of God. Throughout the pages of scripture, there is no place the first Adam was referred as the image of God because that confirmation was not established as a result of his transgression of the instruction given to him. This transgression established a weak nature in the man and his offspring; such that they could not stand the influence and advancement of the serpent but in the program of God man must rule over the earth and the earth must belong to him. 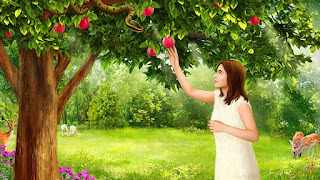 This necessitated that God will come to do this, since Adam and his offspring did not have the wherewithal to do it and He is going to do that by coming as the Seed of the woman. The Seed of the woman is the only one that has the power to bruise the serpent. And by bruising, it means that He has to take the power from him by overcoming his temptation and overrule all his gestures and notions. That is to say that He has to identify Himself with the weakness of the man and as well as his separation from God. Again let me point out here that this battle or contest is not going to be a physical thing but a mind thing. The Seed of the woman has to be a man but will not take up the weakling nature of Adam by being born of man; rather His is going to be a product of God and the woman. That is an indication that the Seed of the woman will possess the dual nature of God and man in the same vessel. This will grant Him the ability to see things from the angle of God and at the same time from the angle of man (Gen 3:15, Job 9:33, Isa 7:14, 9:6 - 7). So if the Seed of the woman is a product of God and the woman, it implies that He is not going to be a son of the man but a Son of God, since He is to emanate from God (Luk 1:31 – 35). This Son of God is the Second Adam that will come and fulfill the purpose of God for man and He is to come as the image of God (Heb 1:3). The word son of God doesn’t mean son as in the biological sense but a marriage of deity in a body. That is why as many that received the deity in their body are called sons of God (Jn 1:12). Therefore, whatever He is going to go through, achieve or obtain is not going to be for Him but for man, no matter how splendid the thing is. This is because what necessitated His coming in the nature of man is not because He failed but the man failed and had not the withal to recover himself. The salvation or soteria of man is the top priority of the Second Adam (the soter). That is the purpose of His coming, to redeem the offspring of the falling man and bring them to the glory that the first Adam lost. As stated earlier, if man lost it, it has to take man to recover it; God cannot come as God to do that. For the fact that there was no one having the ability to recover this for man; God had to take the initiative and step to come in the nature of man and undo the faults of man. The manifestation of God as it is known in human flesh is a process started solely by God and it didn’t require man’s contribution, which means man has nothing to contribute in it. Also the manifestation of God was not done in secret and not an impromptu event but eternally orchestrated by God before the foundation of the earth (Rev 13:8, Eph 1:4 – 5). The plan began before the world was formed, God knew in His foreknowledge that the first Adam will miss the mark and as a result orchestrated the plan of redemption beforehand (Is 46:10, Rev 13:8). This plan took place in the eons of time in the past and the physical pronouncement of the plan began immediately the first Adam failed as the declaration of the coming of the Seed of the woman was made. As things continue to unfold, and events culminating to the arrival of the Seed of the woman, God used prophecies in the ways of words, songs and even events to communicate His arrival to the people. So all the stakeholders and all that it concerns were all expecting and making stringent observations in order not to miss the timing given in the prophecies (Matt 2:2 – 3, Jn 1:45). 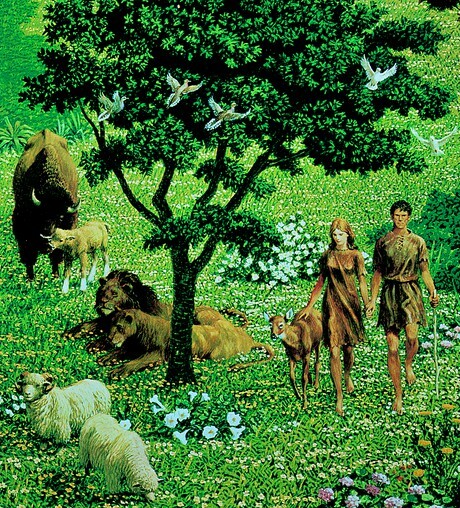 So the coming of the Second Adam was not a fantasy that was created to diffuse the attention of people from what is real but a reality that is ascertained in the Scripture in form of symbols and practices. And not only that the timing of His coming is rightly stipulated in the Scripture, the Scripture also stated how and where He will be born. Again the Scriptures detailed out the activities and functions He will carry out while existing here on earth. This implies that His life should be anchored on the stipulations of the Scripture, He would not be found doing anything not within the declaration of the Scripture concerning Him. Do let us know how this article has affected your spirituality and if you have any misgivings with the content of this article let us know for better clarity.